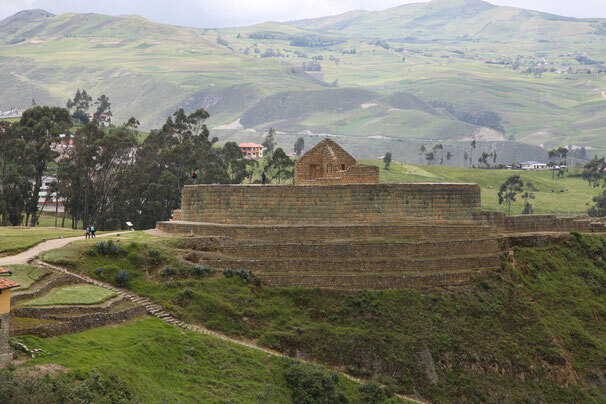 Cuenca was our second last destination in Ecuador. 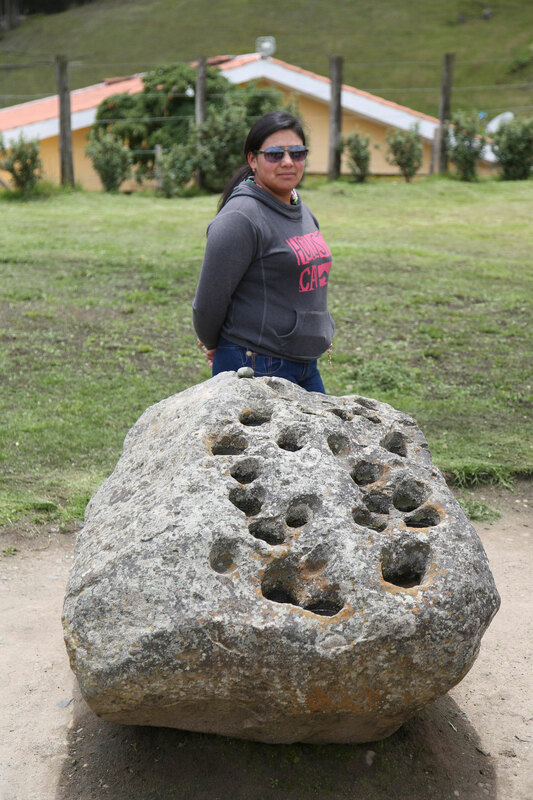 We stayed there for 5 days and had a lot of things to do. 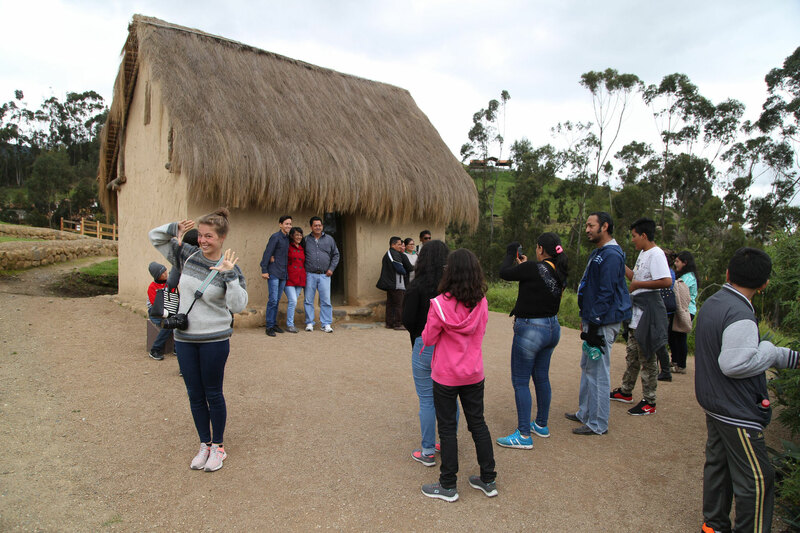 and visited Ingapirca, our first archeological site of the Inkas. 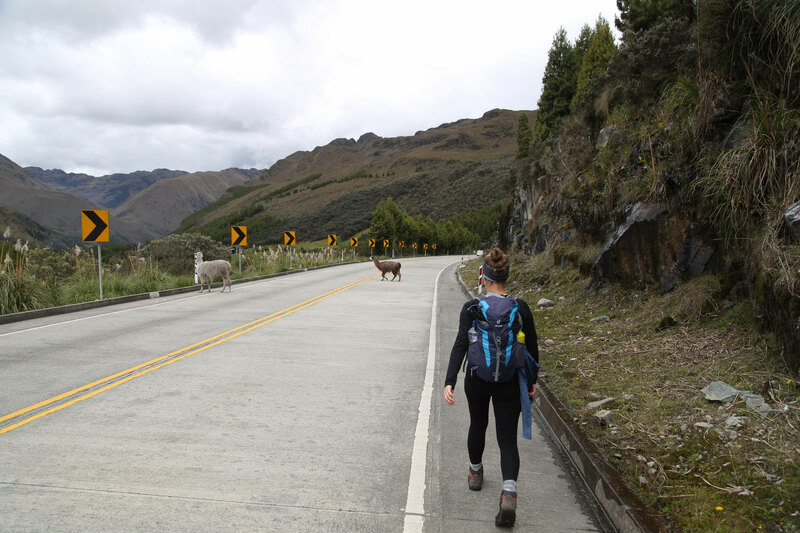 The city of 277 000 habitants is located in the South of Ecuador, in the Azuay Province at 2500m over sea level. 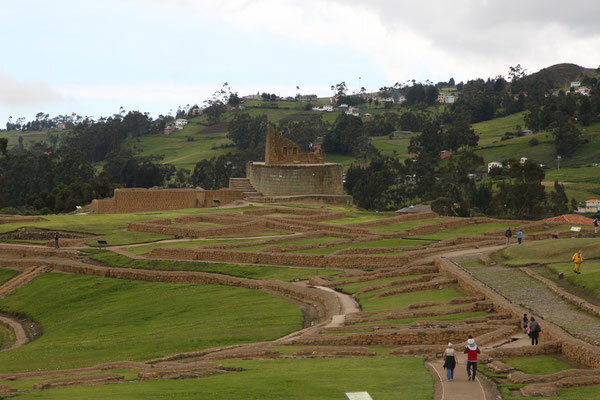 It's the third biggest city of Ecuador. 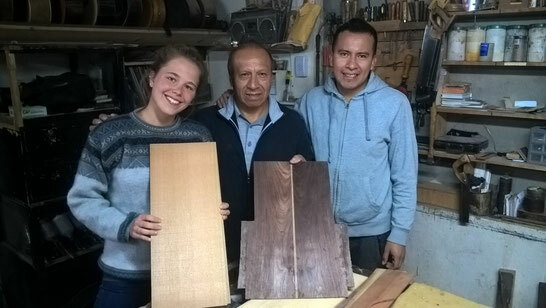 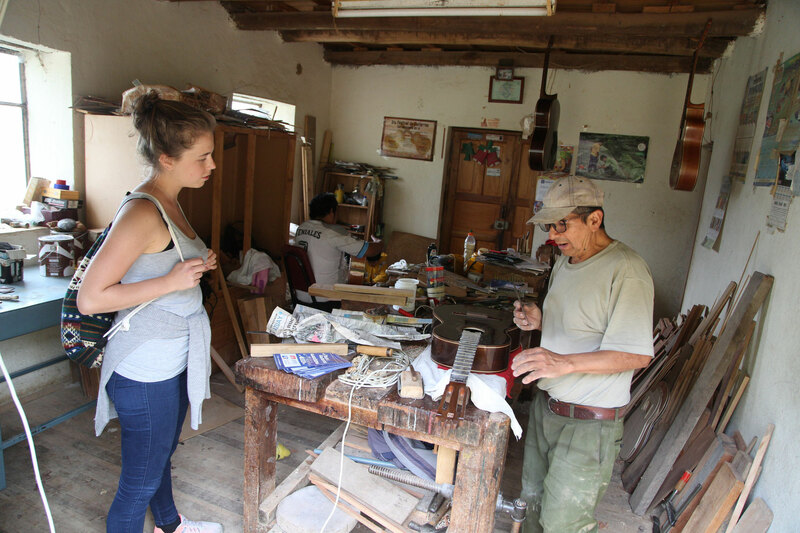 In order to find the perfect guitar for Laura, we were visiting different guitar workshops in Cuenca and San Bartalomeo. 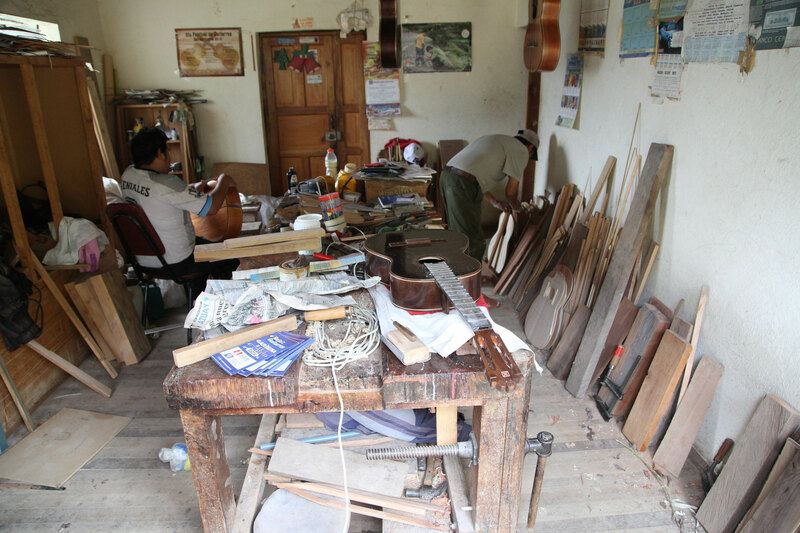 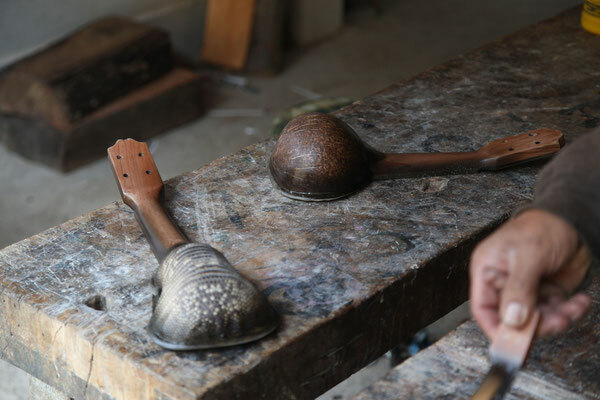 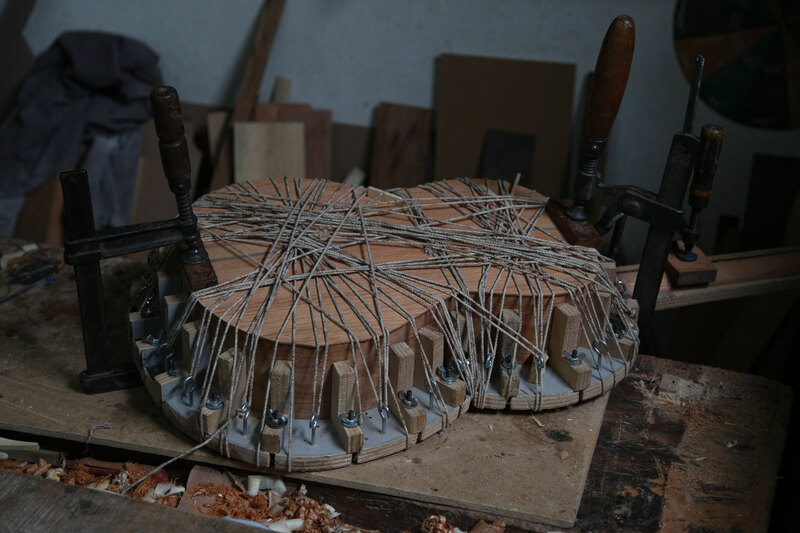 Both places are famous for their guitar handcraft and have some famous families living there. It was one of the main goals of Laura's travel in South America to find a guitar from here. 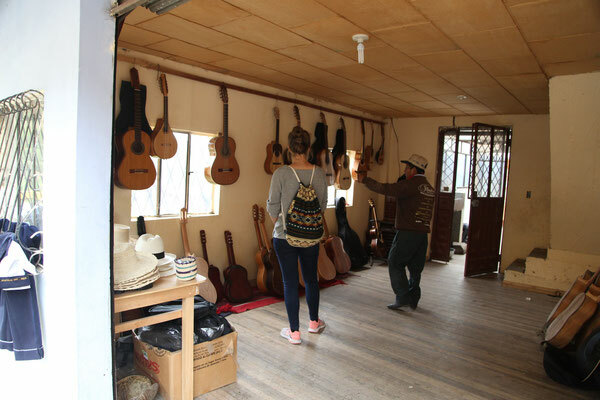 We visited about three different workshops in Cuenca and eight in San Bartolomé, all of them are in the Ruta de las Guitaras. 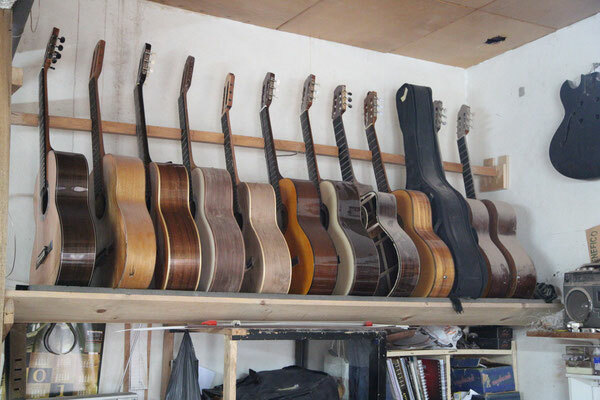 If you want to know if she found the right guitar or not, check her blog! 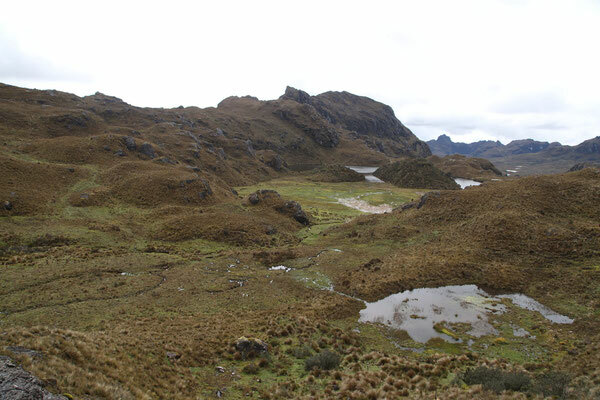 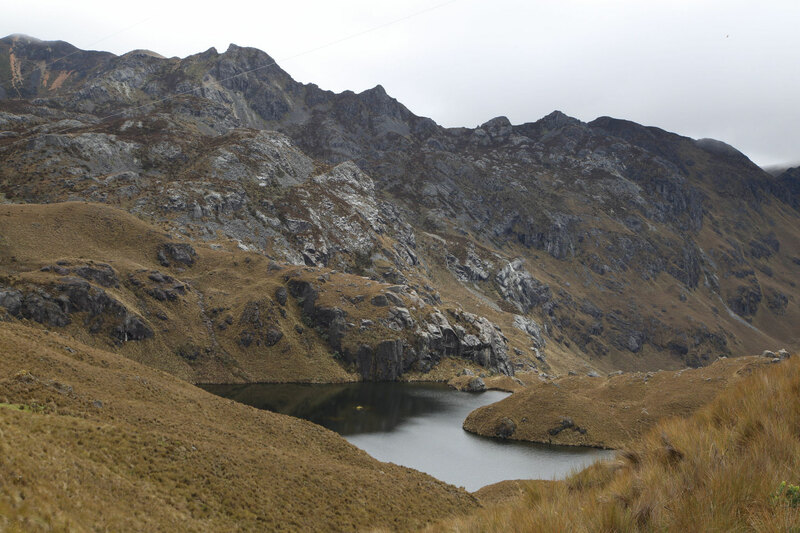 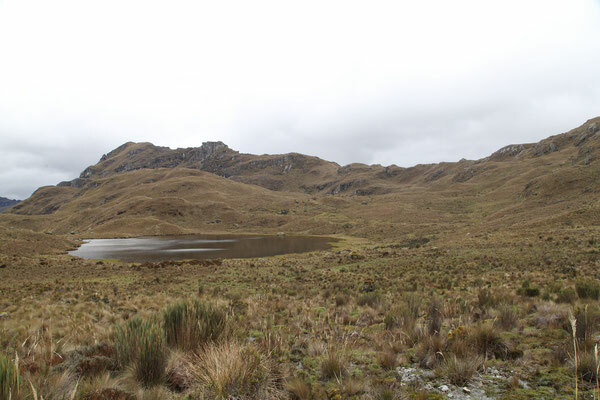 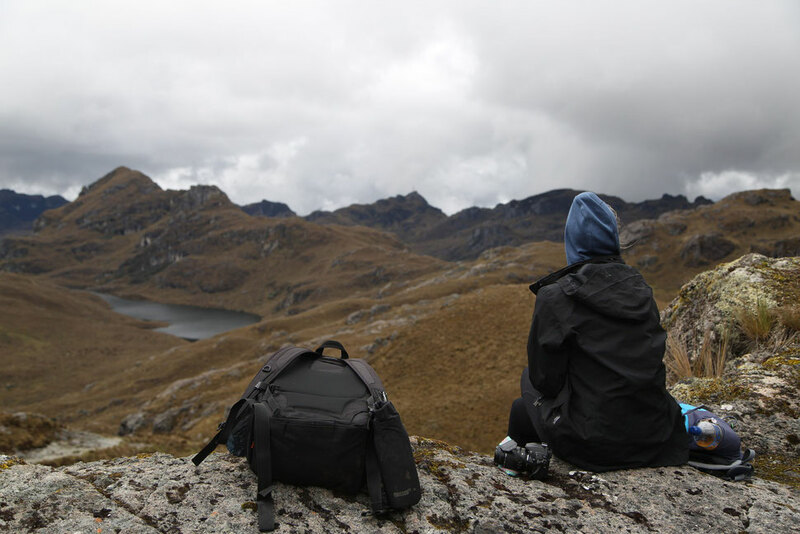 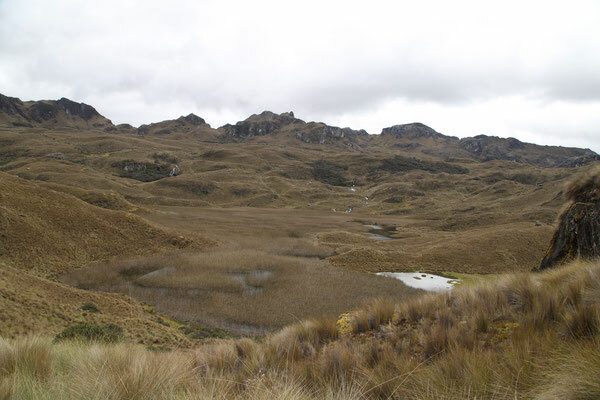 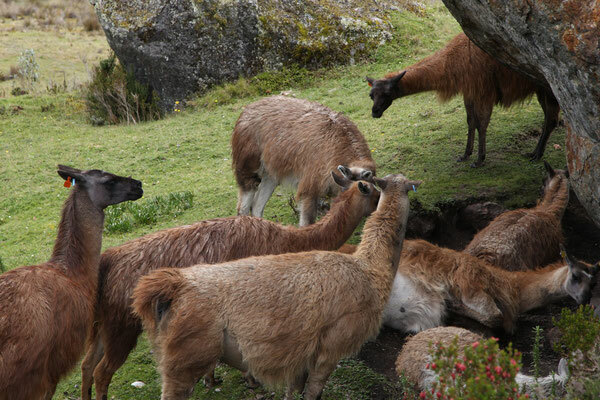 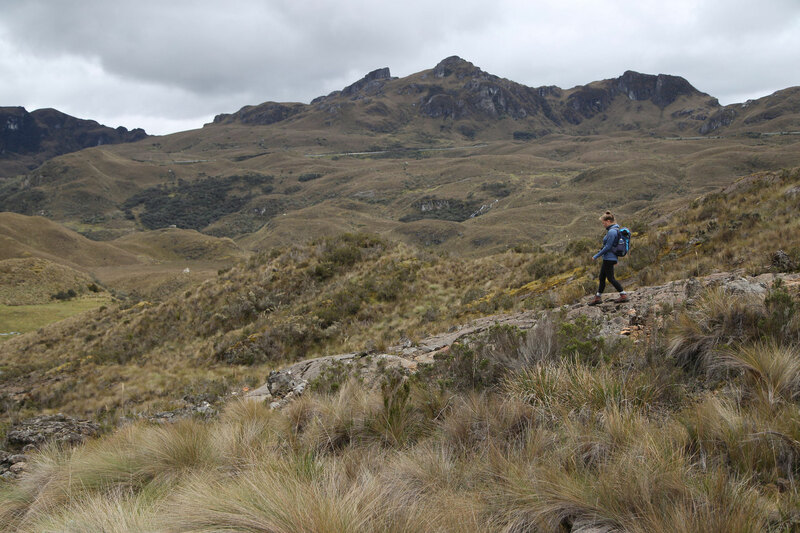 The National Park Cajas lies 30km East of Cuenca and is famous for the huge amount of lakes. 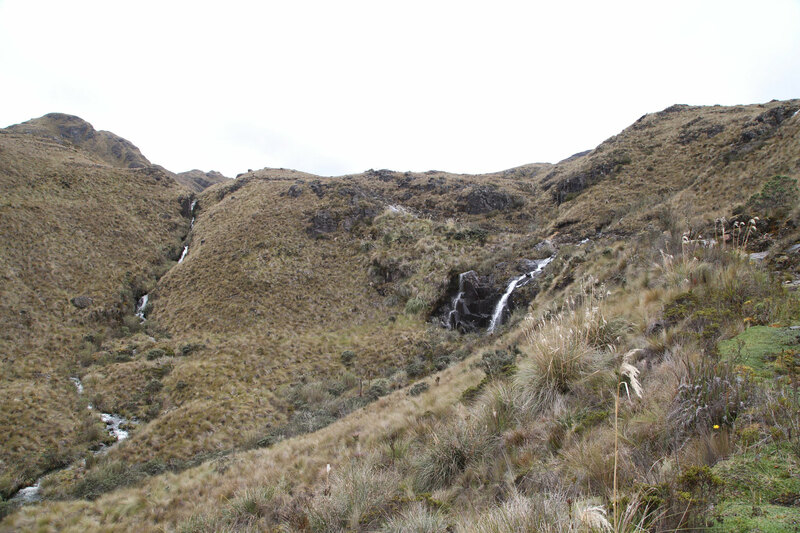 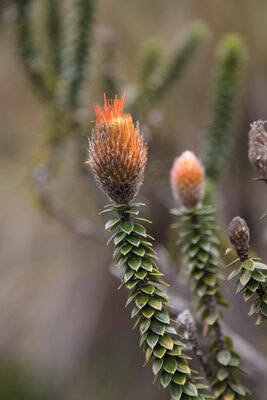 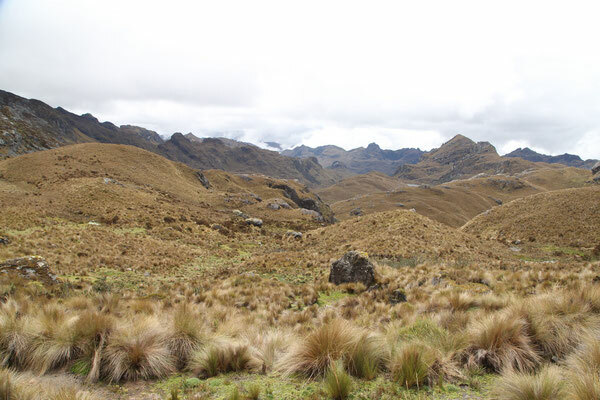 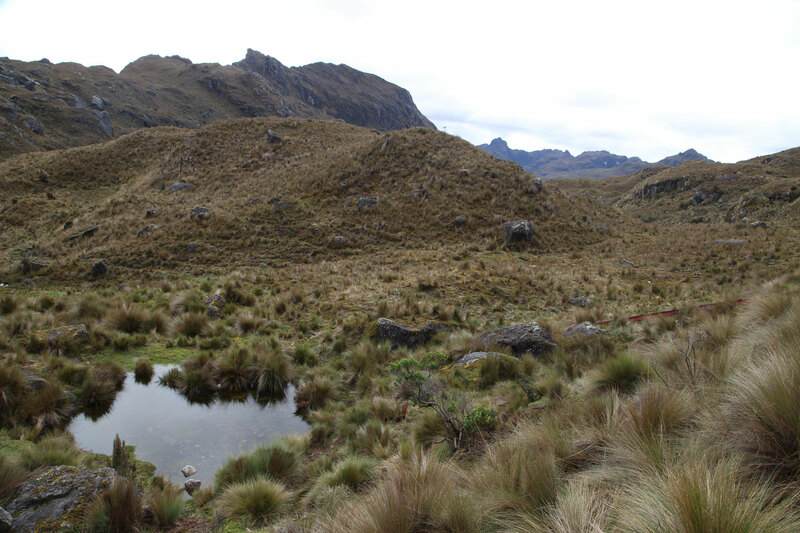 The park protects an area of 285 km² in the highlands of Ecuador. 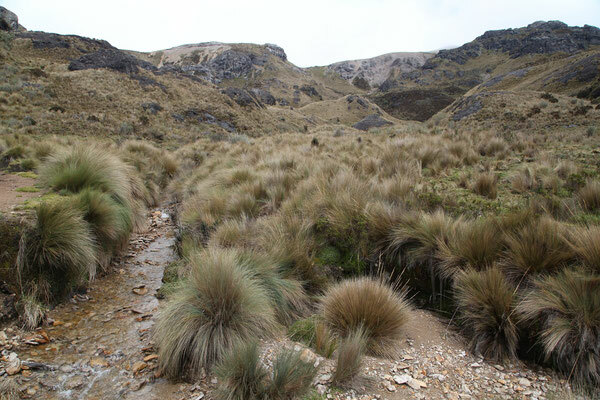 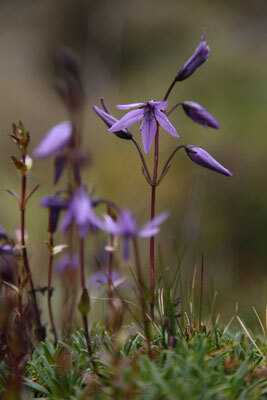 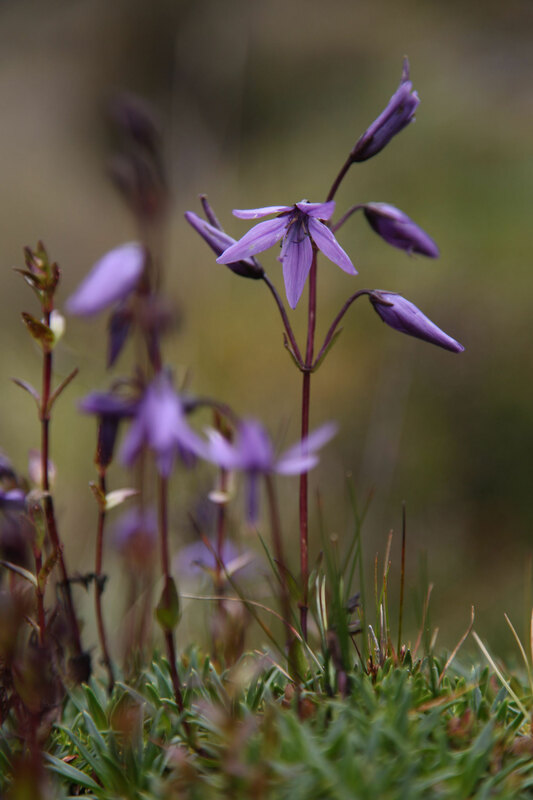 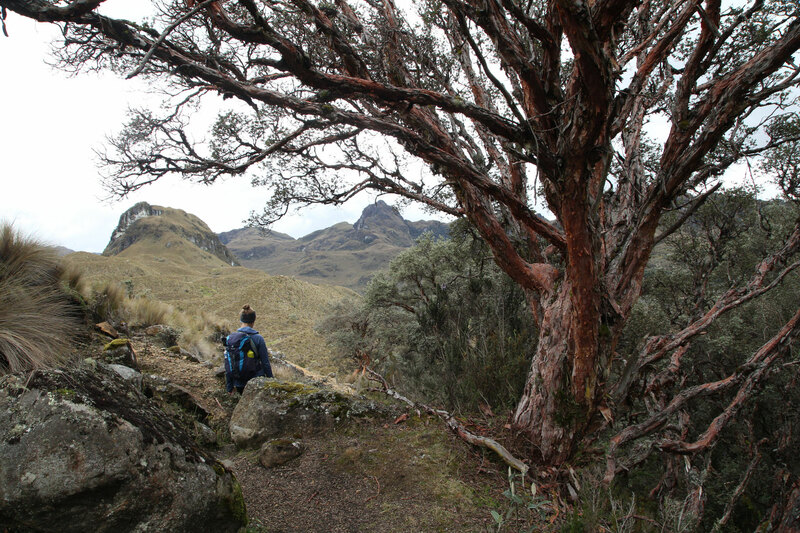 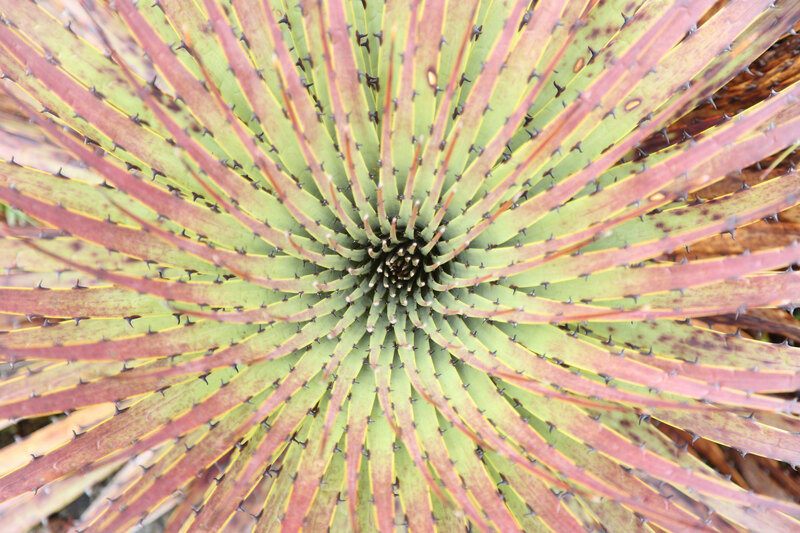 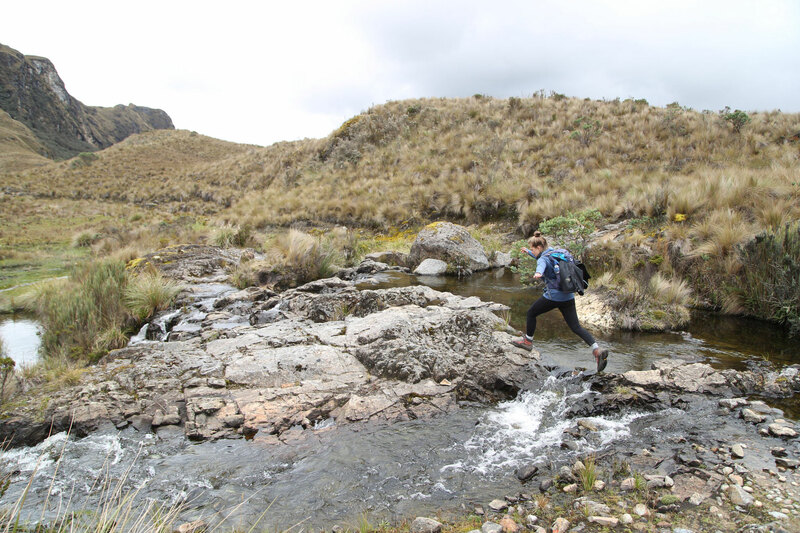 The name Cajas is Quichua and means "Gateway to the snowy mountains". 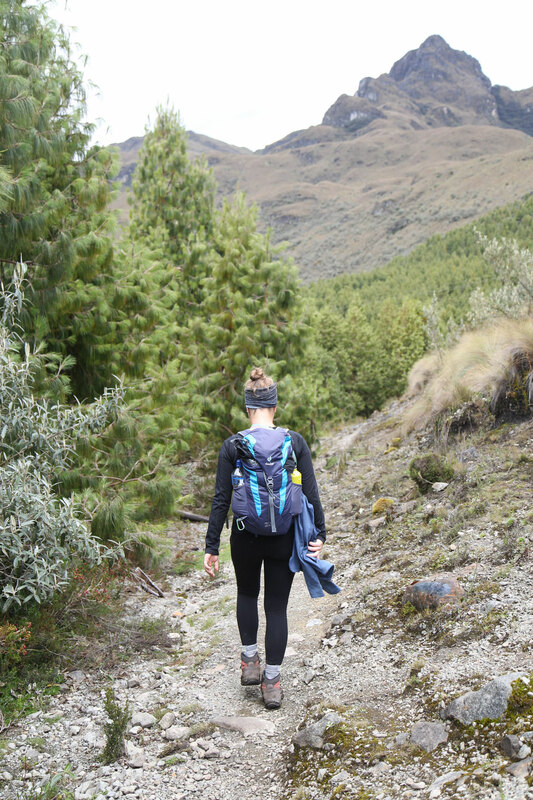 We hiked a 10km long trail at an altitude between 4200m and 3900m above sea level. 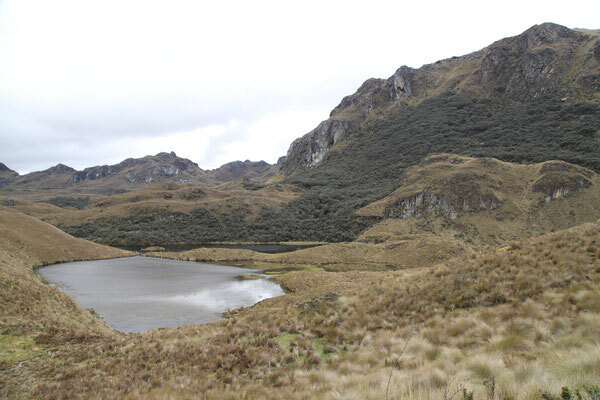 On our trail we saw the Laguna Pallacocha, Laguna Rinon Cocha, Laguna Fondo Cocha, Laguna del Perro Grande, Laguna Unidas, Laguna Totoras and the Laguna Patoquinuas. 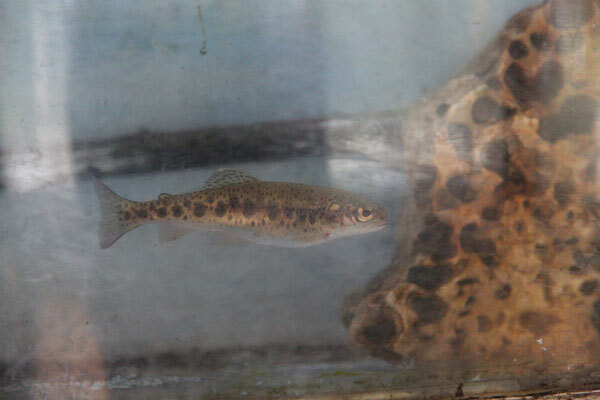 At the end of our hike, we went to eat a very tasty local trout. 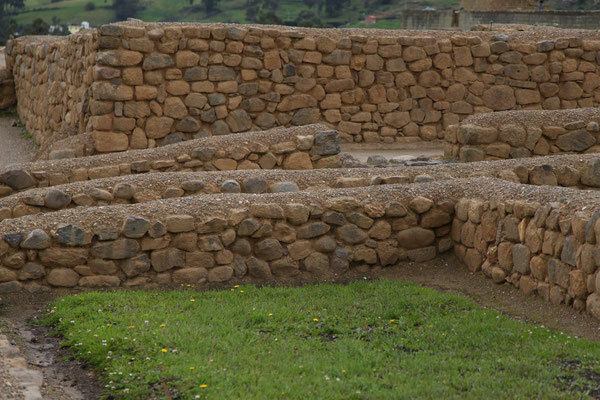 Ingapirca was our first archeological site of the Incas and it is the most important archeological place of Ecuador. 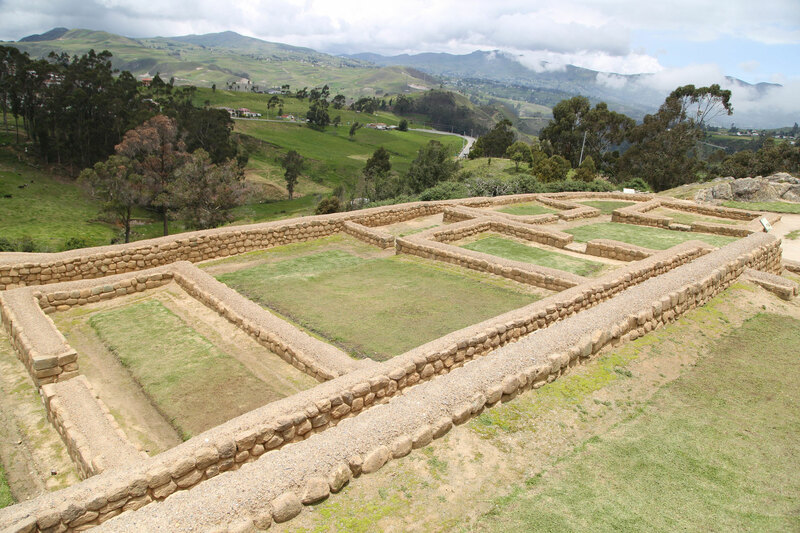 The site is located 40 km North of Cuenca, next to Cañar. 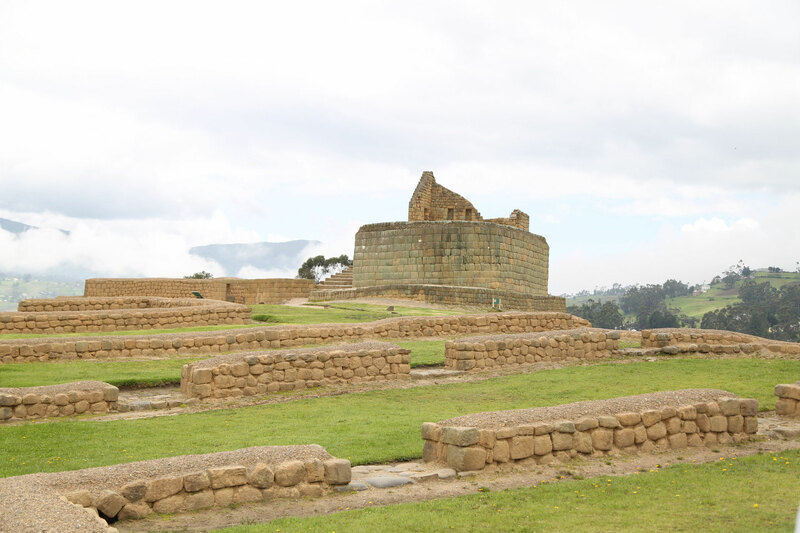 It is known as Sun Temple, used by the Incas and Kañari which lived together in this region. The real function of the temple remains unknown, but scientists think this place was used to observe the sun and moon. On the site are as well storerooms, granaries, ritual baths, houses and graves. Because we'll travel further down to Peru, one question is very important: Who were the Incas? 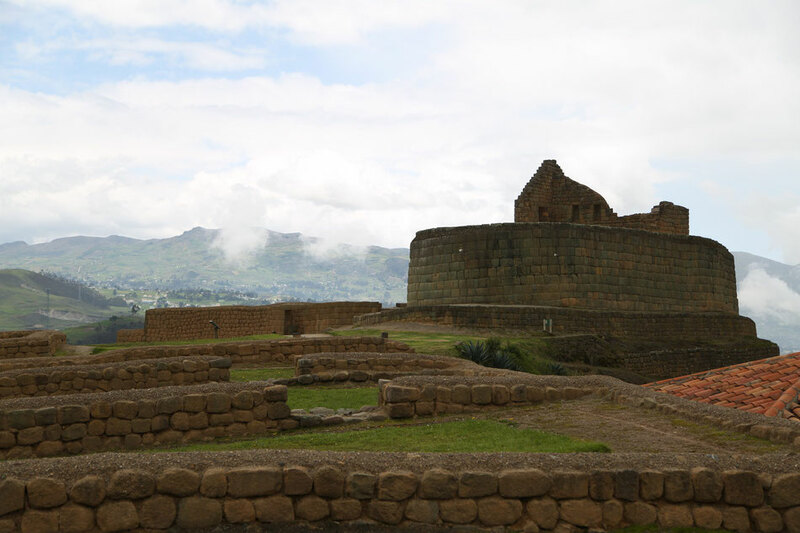 The Incas dominated the largest empire in the pre-Colombian America and possibly the largest empire in the 16th century. 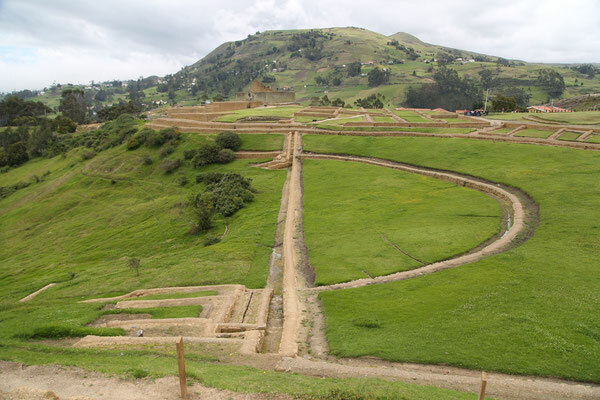 Their empire included Peru, Ecuador, western and southern central Bolivia, southern Colombia, northwestern Argentina and northern and central Chile. 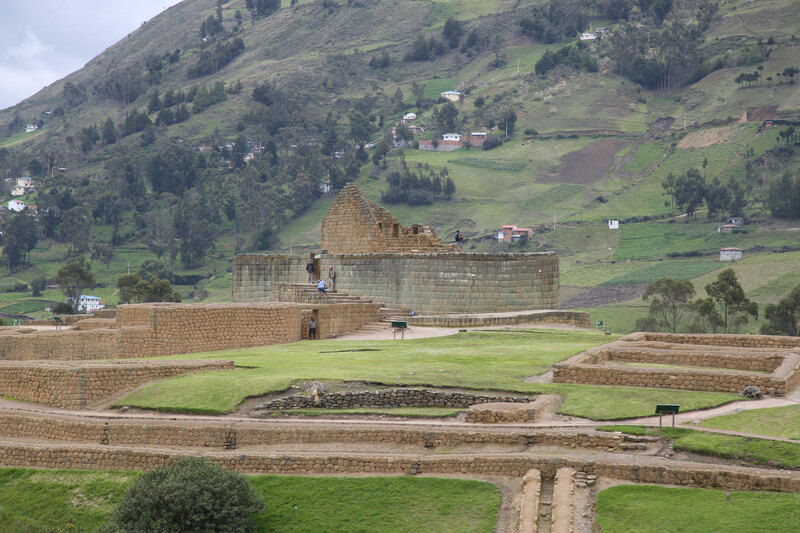 The population of the Incas was around 10 million and the center of their empire was located in Cusco, Peru. 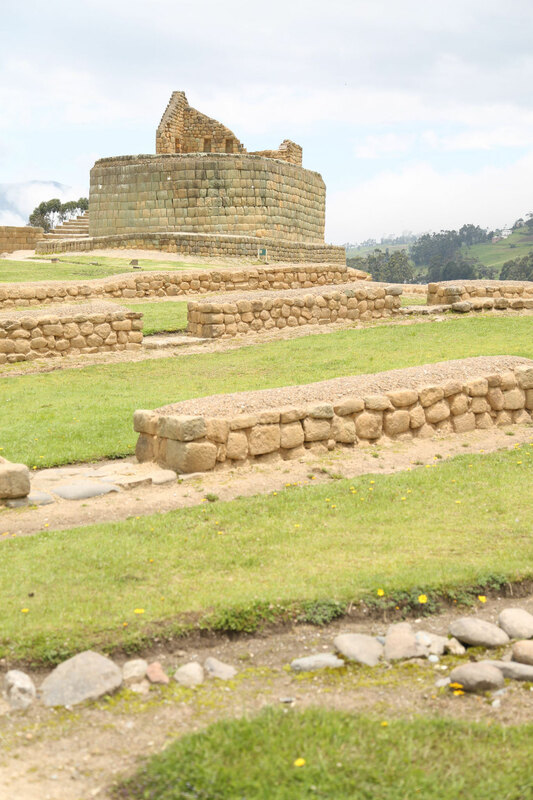 The king of the Incas was called "Sapa Inca", Son of the Sun. 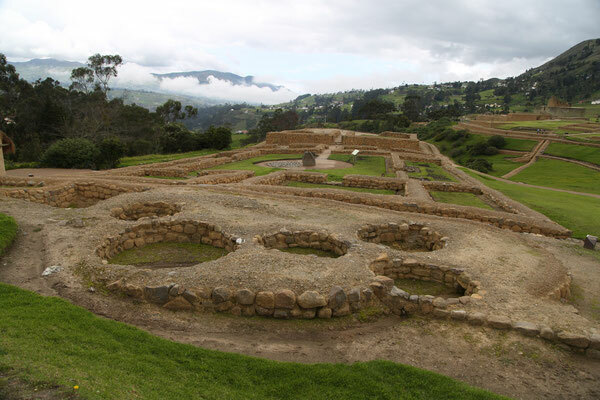 Their last stronghold was against the Spanish conquistadors in 1572. 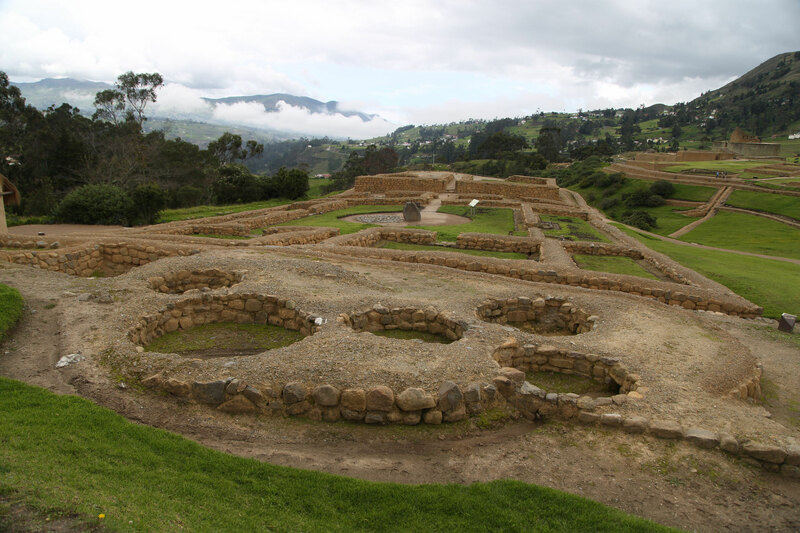 The word "Inca" means ruler or lord in Quechua and was used to describe the ruling class or family in the Inca empire. The name of the Inca empire in Quechua is Tawantinsuyu and means the four regions or provinces. The four suyu were: Chinchasuyu (North), Antisuyu (East/Amazonas), Quallasuyu (South) and Kuntisuyu (East). All in all Cuenca was a very interesting place to stay! 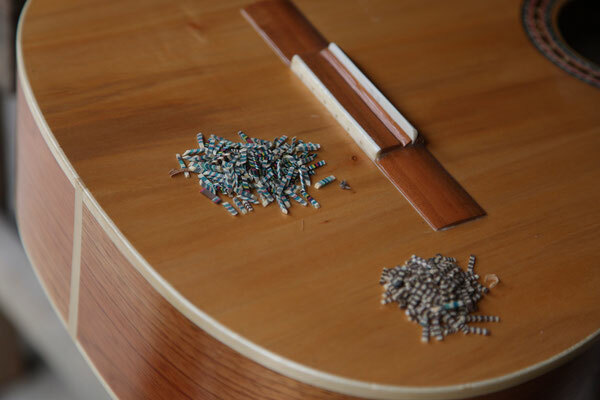 We visited many guitar workshops in Cuenca and San Bartalomeo to find the perfect guitar for Laura. The National park Cajas with uncountable lakes was a very nice daytrip with a beautiful landscape to hike. 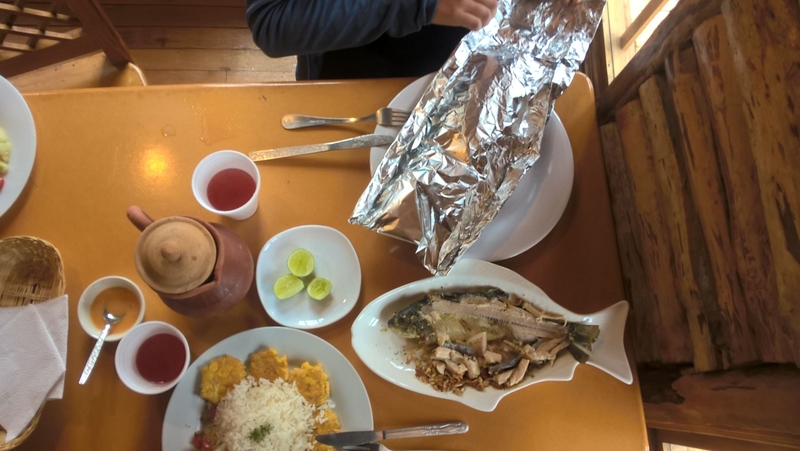 The trout at the end of our hike was very tasty. 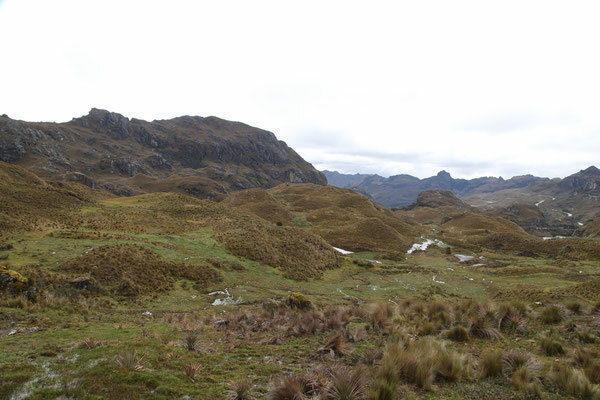 but it was our first Inca site and an interesting start for all the upcoming archaeological sites.